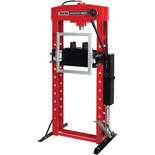 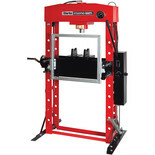 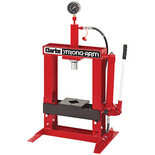 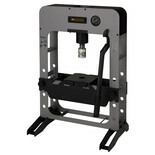 Heavy-duty press designed for garage / workshop use. 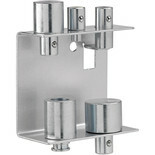 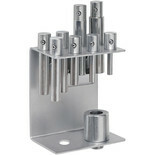 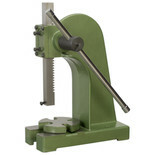 Ideal for repetitive manufacturing processes, this press includes a rotating table with four differing sizes of cut-out. 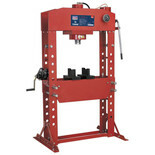 For use in garages and workshops we have a wide range of hydraulic presses which have a variety of uses particularly in automotive work. 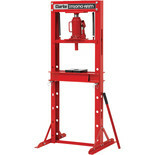 We stock a wide range of presses, ranging from 0.5 ton to 50 ton models. 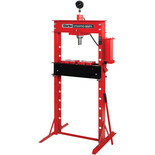 As well as Hydraulic Presses, Machine Mart provide a wide range of tools and equipment suitable everybody from DIY enthusiasts through to professionals. 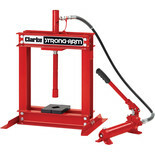 We supply tools from all the industry-leading brands such as Dewalt, Bosch, Clarke and Ryobi. 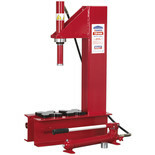 It couldn't be easier to buy a hydraulic press from Machine Mart, place a secure order online now, or drop into one of our many stores nationwide. 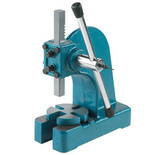 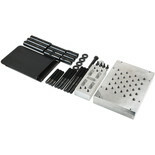 We have a extensive range of tools and equipment at competitive prices.